FBNQuest Merchant Bank, the investment banking and asset management subsidiary of FBN Holdings Plc, has emerged a winner in the Best Sukuk House category, at the 2018 EMEA Finance Achievement Awards. Now in its 11th year, EMEA Finance has continued to spotlight the achievements of leading investment banks, asset managers and brokers in Africa. Recognising FBNQuest Merchant Bank’s support for the development of infrastructure in Nigeria through the issuance of the FGN Sukuk II in December 2018, this award reaffirms the bank’s strong performance as a leading Investment Bank in Nigeria. With the Sukuk II issuance, FBNQuest Merchant Bank has continued to support infrastructure development in the Nigerian economy, and deepen the Nigerian capital market by offering government issued investment alternatives to ethical investors, establishing a benchmark for pricing other Sukuk bonds and helping to build an investment culture amongst retail investors. “In 2018, we raised over N60 billion (USD167m) in various bond issues for medium and large corporates. We also raised over N260 billion across sixty-two (62) Series of commercial papers issued by several companies in different sectors,” said Patrick Mgbenwelu, Head of Investment Banking, FBNQuest Merchant Bank Limited. 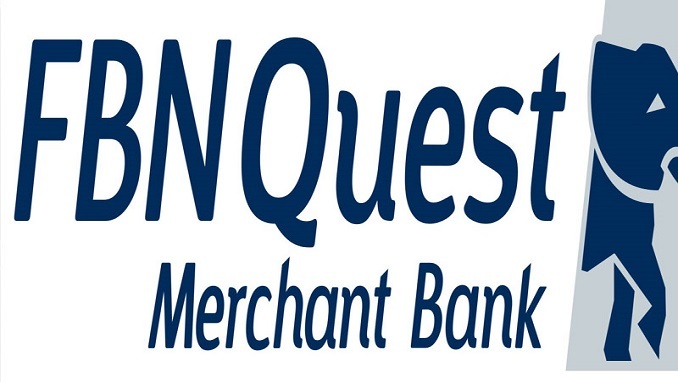 In addition, FBNQuest Merchant Bank has managed both of the FGN Sukuk transactions, the most recent which closed in 2018. “These transactions have enabled us to showcase our expertise in this category, and we appreciate the recognition from institutions such as EMEA Finance. We remain committed to delivering value added investment banking products and services to businesses and governments, leveraging our strong distribution platform and proven track record of raising funds for capital expenditure and expansion projects across different industries and the public sector,” said Mgbenwelu. The Best African Sukuk House Award adds to a growing portfolio of awards won by FBNQuestMerchant Bank at the EMEA Finance. Last year, the bank won the EMEA Finance 2018 African Banking Awards for“Best Asset Manager in Nigeria” and “Best Asset Manager, Pan-Africa”.